ARMOR is really concerned about quality, security and respect of the environment. All over the world, regulatory compliance is a constant concern on all ARMOR's production sites. The thermal transfer activity located in India maintained its triple certification of ISO 9001, ISO 14001 and OHSAS 18001. The slitting sites in China also successfully renewed their triple certification: ISO 9001, OSHAS 18001 and ISO 14001, while our Chinese coating site renewed its ISO 9001 certification and successfully added ISO 14001 certification. We are market leader and it is important to show that we do not only concentrate on production and quality, but also on the environment and safety. The Chinese government is now paying more and more attention to environmental matters. 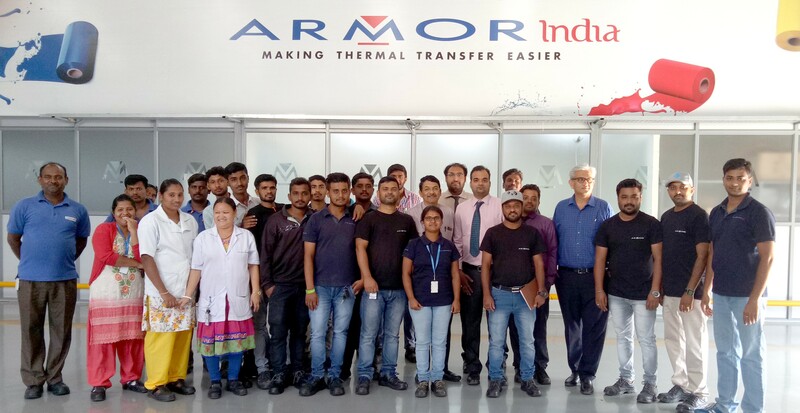 This is notably why this new ISO 14001 certification for the coating site sends a clear message to our customers and the authorities that ARMOR China is taking all the necessary steps to be a credible, responsible and trustworthy manufacturer, says Sky LI, QSE Manager at ARMOR China. ARMOR Office Printing production site based in Morocco, achieved an audit held on last April, to obtain ISO 9001 and 14001’s certifications (2015 versions). An OHSAS 18001 (2007 version) audit was also performed with equal success. «This year was the right time to adopt the 3 QSE management systems. We passed the test with flying colours with zero major or minor non-conformities!» explains Saida Boutrouka, Human Resources Manager with responsibility for occupational health and safety. In total, ARMOR has 8 sites triple certified: in Singapore, in France, in the USA, in China, in Brazil, in Morocco and in India. ARMOR is dedicated to preserving natural resources through a circular economy and facing the challenge of sustainable and accessible energy for all. This spirit is seen in ARMOR’s activities, such as collecting and giving a second life to printer consumables, manufacturing recycled and recyclable 3D filaments, developing solvent-free thermal transfer ribbons, using coated collectors to improve the performance of electric batteries and producing 100% remanufactured low-carbon photovoltaic film, says Hubert de Boisredon, CEO of ARMOR. 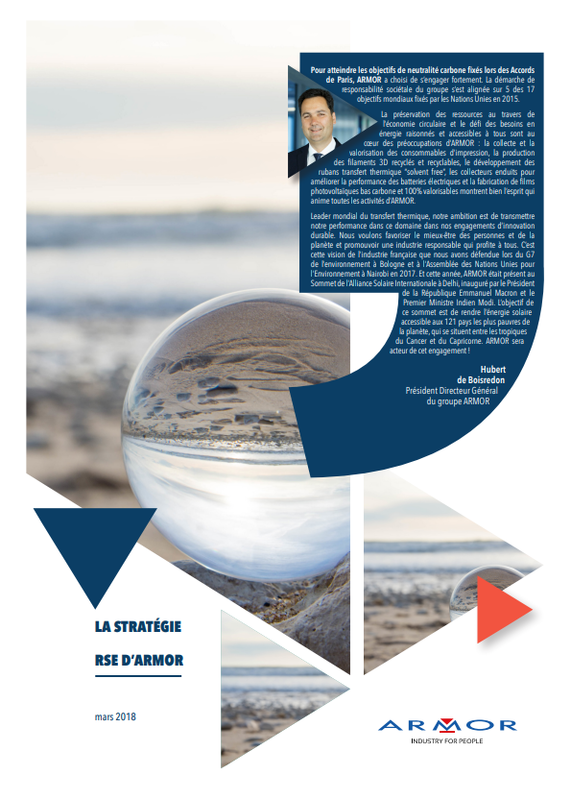 Pour mieux comprendre la stratégie RSE d’ARMOR et quelques-unes des initiatives prises à travers les territoires où ARMOR est implanté, téléchargez cette plaquette.